I was invited to check out Stray Neighbor as a guest of Stray Neighbor and Curated Control PR. All opinions are my own. 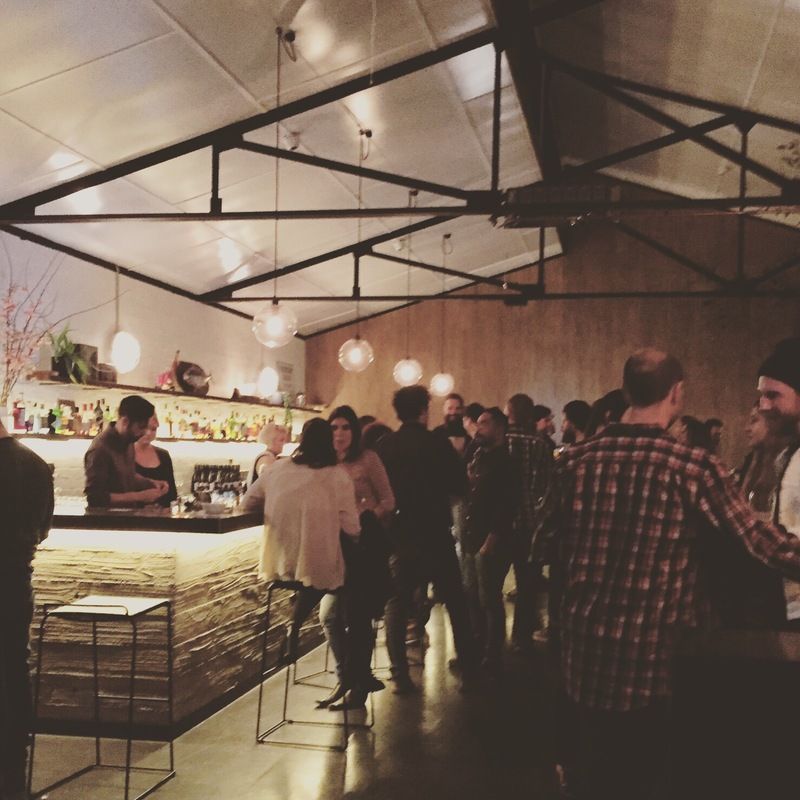 Last week I was lucky enough to attend the opening night of the hottest new Northside spot, Stray Neighbor. I’ve been watching this white brick building transform for a while now, and have been keen to see what was coming. What has arrived is the perfect drinking and eating spot on the other side of Bell St, right where it’s needed most. 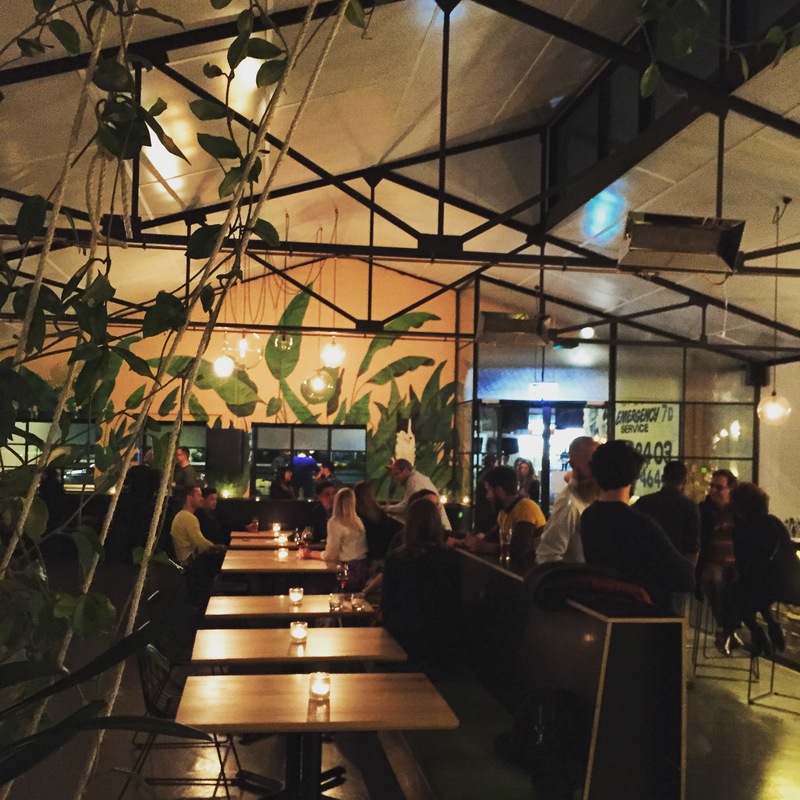 The owners describe this place as a local place created by locals, and the relaxed Preston vibe is all over the bar and restaurant but with a little sophistication and finesse also! The huge, beautifully designed warehouse space boasts three areas- a cool, suave bar area which would be perfect for pre dinner drinks, a refined dining space perfect for a date, a very cool boothed area with a pool table for hanging with your mates. It really has everything, including what this foodie needs most- quality eats! I only had a small taste of the menu in canapé version at the launch, but it was enough to excite me about heading back there for a proper sit down meal. The chef hails from Jacques Reymond and has designed a beautiful menu of both small and large plates to share. 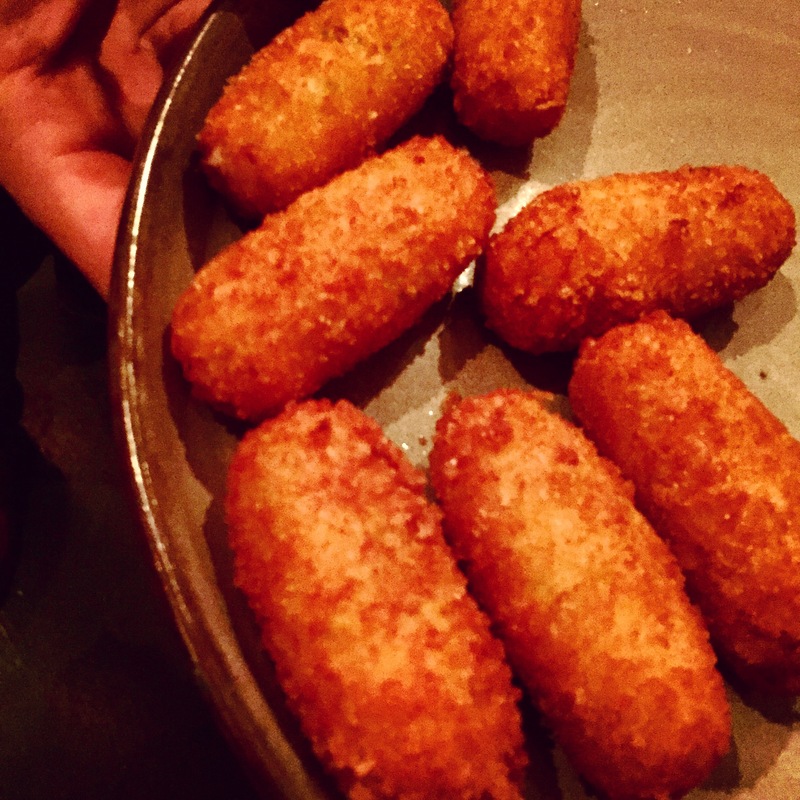 Highlights for me were the leek and Gruyere croquettes (I am a croquette FIEND, loved them!! 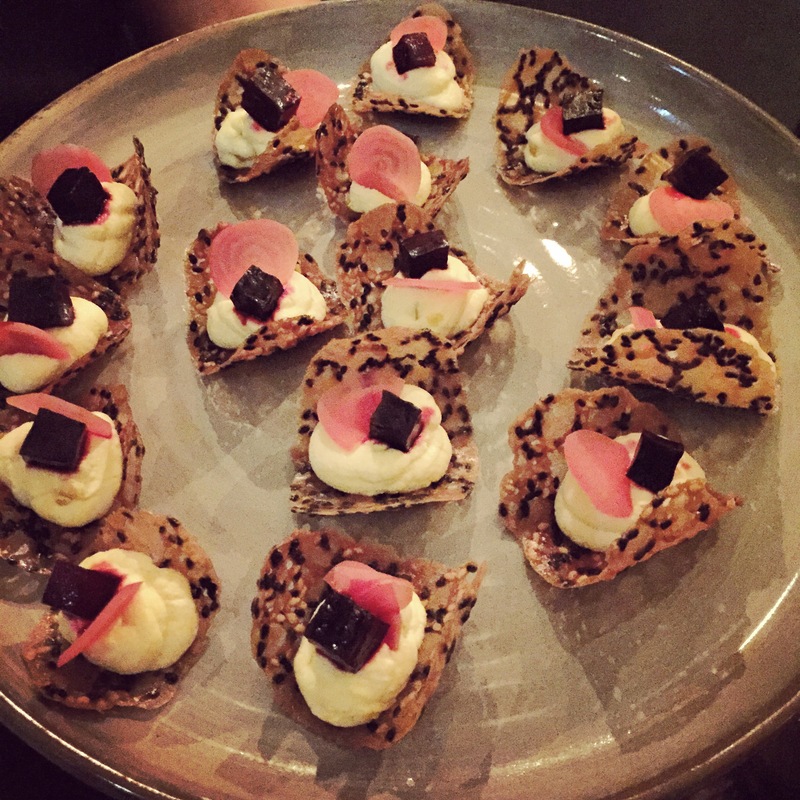 ), the chicken liver parfait and the amazing beetroot, goats curd and sesame tuile. So next time you are looking for somewhere to stray to in the Preston area, I highly recommend Stray Neighbor for drinks, dinner or a long night relaxing, playing pool and drinking quality beer and wine. 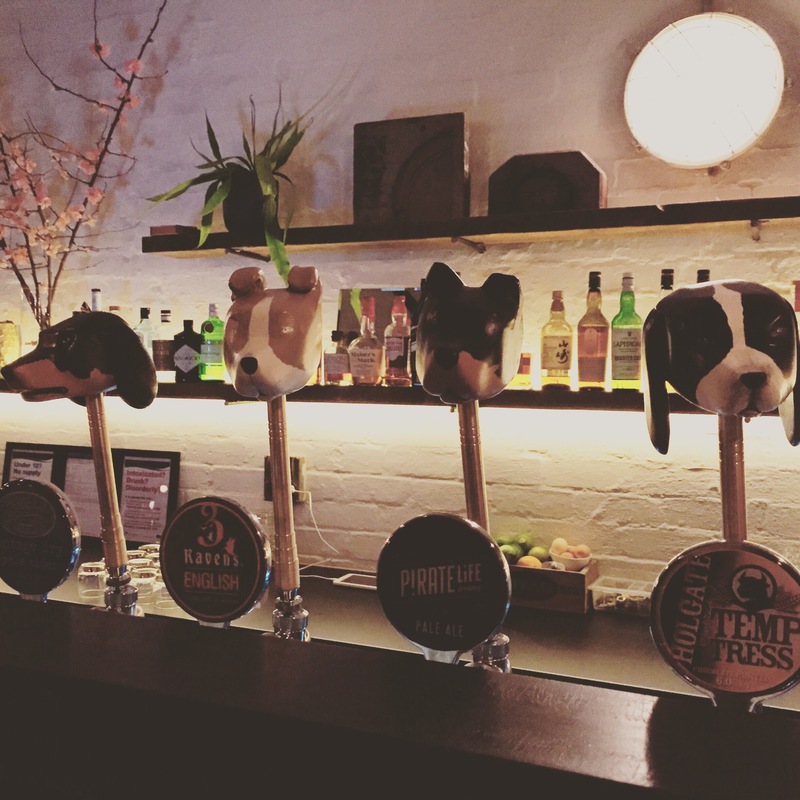 Don’t forget to check out the gorgeous little doggie beer taps, modeled on the owner and friends and families pups! Definitely impressed this dog lover. Great information. Lucky me I found your blog by chance (stumbleupon). I have book marked it for later!